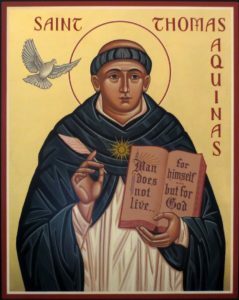 ALBUQUERQUE, NEW MEXICO (ANS)—Many denominations (Anglican, Lutheran, and Roman Catholic) celebrate Thomas Aquinas’s life on January 28th, earmarked as his feast day. Considered by many to be one of the finest minds in the church and world, Aquinas is designated as the Angelic Doctor due to the depth of his thought and life. Born in 1225 or 1226 AD in the Italian region of Lazio (the old Kingdom of Sicily), Aquinas attended the school at Monte Cassino, a celebrated monastery. He later transferred to a local university in Naples where he studied theology and the liberal arts, finding a scholarly home under the esteemed German Dominican scholar, Albert Magnus. 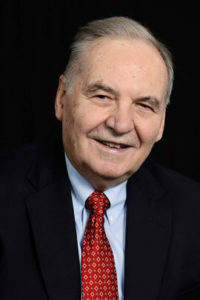 As a pre-Trentian Catholic (before the councils of Trent: 1545-1563 AD, where many of the specific Roman aspects of the faith were solidified), Aquinas shares much with modern evangelical thought, as author Norman Geisler points out. 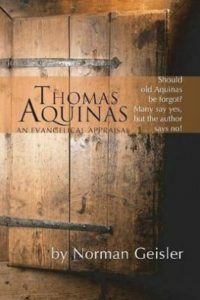 Writing in Thomas Aquinas: An Evangelical Appraisal, Norman Geisler gives eight connections Aquinas has to evangelical thought. One, “Aquinas’ view of the nature and interpretation of Scripture is helpful in the current debate on inerrancy and hermeneutics…a forerunner of the literal hermeneutic and a first-rate exegete of Scripture.” The bottom line: Aquinas took the Bible seriously. 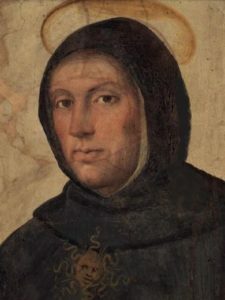 Two, “Aquinas can help us build a solid theistic basis for doing historical apologetics.” As his 5-ways demonstrates, Thomas Aquinas was serious about defending the Christian faith. Three, “Aquinas can provide a philosophical answer to the growing influence of the finite god of process theology.” Because process theology teaches that God is limited, Aquinas’ insistence on classical apologetics and doctrine—where God is infinite, all-powerful, and all knowing, Aquinas’ thought provides a defense against many wayward teachings. Four, “Thomistic analogy seems to be the only adequate answer to the problem of religious language.” Analogy is a comparison of two unlike things. With analogy, Aquinas keeps clear of sheer equivocation (God is like humans) or skepticism. Aquainas is able to constructively talk about God using the concept of analogy. Six, “Aquinas makes a major contribution in the area of epistemology.” Epistemology is the study of how we know things. Here, Aquinas combines human reason with Biblical faith in helping us understand and know both the world and word. 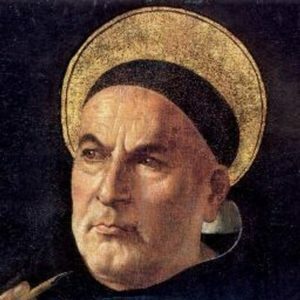 Seven, “Aquinas’ answer to the relation of faith and reason is a surprising synthesis of the best elements of rationalism and existentialism.” In short, Aquinas thought has both physical (what we can see, feel, and touch—the material world) and metaphysical elements (the soul, logic, theology, etc.). There is a marriage in Aquinas’ understanding between the physical and non-physical, faith and reason. Eight, ”Aquinas addresses reconciliation of human freedom and divine sovereignty.” Put in terms of more modern vernacular, Aquinas has something to say about Calvinism and Arminianism. And for further reading, consider picking up one of the following.